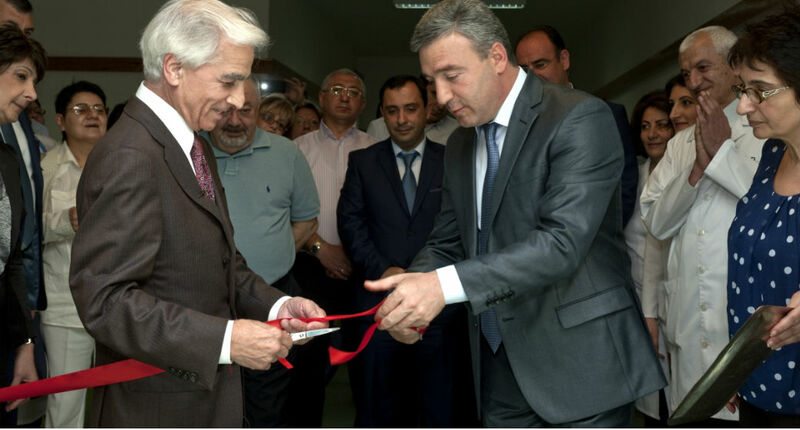 Armenian EyeCare Project » Spitak Eye Clinic Opens! Perhaps the most exciting celebration during our July Medical Mission to Armenia was the grand opening of our second Regional Eye Clinic in Armenia — and the first-ever eye clinic in the Lori province — the John and Hasmik Mgrdichian AECP Regional Eye Clinic in Spitak, Lori. Equipped with a state-of-the-art operating room, two exam rooms, and the most advanced medical equipment — including cutting-edge technology that allows local surgeons in Spitak to communicate in real-time with ophthalmologists in Yerevan — the Regional Eye Clinic in Spitak ensures that residents in the Lori province, regardless of their income status, have access to quality eye care year-round, without having to wait for the Mobile Eye Hospital to visit their town or having to travel to Armenia’s capital for care. As part of the Armenian EyeCare Project’s Five-for-Five campaign — developing five Regional Eye Clinics for $5 million by 2020 —The John and Hasmik Mgrdichian AECP Regional Eye Clinic in Spitak marks our second Regional Eye Clinic in Armenia. The first Regional Eye Clinic, the Haig Boyadjian AECP Regional Eye Clinic, located in Ijevan, Tavush, celebrated its grand opening last year, during our 2015 Medical Mission to Armenia. 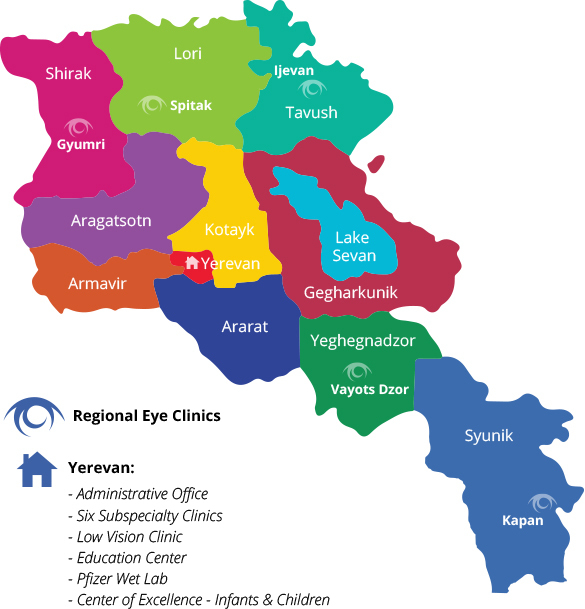 The remaining three Regional Eye Clinics will be located in Kapan, Syunik; Gyumri, Shirak; and Yeghegnadzor, Vayots Dzor. You can participate in our Five-for-Five campaign and help Bring Sight to Armenian Eyes by funding an operating room, exam room or piece of equipment in an upcoming Regional Eye Clinic. There are several naming opportunities and all donors will be honored on a special wall in each clinic.